Blue Ray of Hope and The Inn at Mountain Quest have partnered to bring the Reach Out to Horses Trust Based Horsemanship Program to Pocahontas County in wild, wonderful West Virginia! 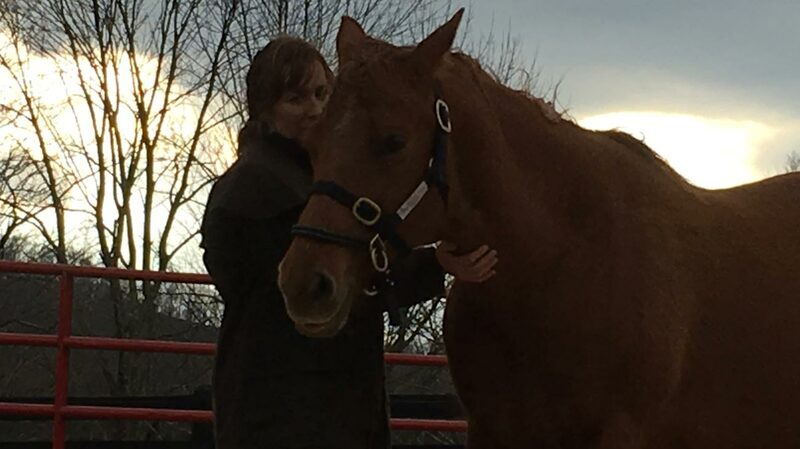 We are excited to welcome Anna Twinney, world-reknowned Natural Horsemanship Clinician and Trainer, Animal Communicator and Reiki Master to the Inn at Mountain Quest, April 1-3, 2016. This three-day course will cover a great deal, equipping you with new knowledge and insight into the language of the horse to help you communicate with clarity for a deeper connection with your horse so that you can both be confident in your endeavors together! The Inn at Mountain Quest www.mountainquestinn.com is offering an amazing lodging/meal package for attendees of this exclusive weekend event. Contact Alex or Andy at 304-799-7267 to secure your room as this event will sell out very quickly! Register Now by clicking on this link as space is extremely limited! http://www.reachouttohorses.com/clinicwv or Call Donna at 304-545-5810. Round pen work isn’t “chasing a horse around a pen”! When used correctly, the round pen can be extremely effective in communicating, training and learning about your horse. You will experience a language that goes beyond body gestures, and create a lexicon that can be used in and out of the Round Pen. Determine when the Round Pen is NOT the right tool and more!!! Explore this easy to learn and use tool to identify what your horse needs to be happy, healthy, and whole. Explore the body, mind, spirit connection Get direct feedback from your body – the body does not lie! Discover how your thoughts, limitations & beliefs affect your life and more!!! Are you ready to take your communication beyond body langauge and training cues? Then it is time to discover the world of Interspecies Communication and explore a whole new relationship with your horse. Discover what you are actually telling (or not telling) your horse and more!!! 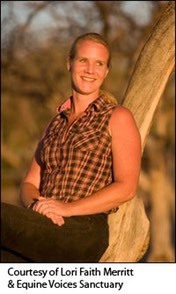 Only $125 until March 21st for the Full Day event on Friday with Anna Twinney! The obstacle course is one of the most effective tools in horsemanship and then, on Sunday, you will work with your horse from the saddle to eliminate any concerns about spooking while you are on his back. You will begin with Anna’s exclusive Trust-Based Learning and Compassionate Communication. This is the foundation of the ROTH program’s in-hand work … and there’s a reason for it. You will create a solid footing with your horse, set him up for success, and achieve that connection of grace and ease you’ve always imagined. Say goodbye to frustration, struggle, confusion, misunderstanding, flaring tempers, fear and anxiety for both you and your horse. Then you will head to the saddle for a fun, effective and poweful lesson in communication and desensitization. You will learn how to gain a closer connection with your horse and fill in the holes you might not have even known you had. All without fear, force, stress or flooding. Get the results you need to stay safe. Work with your horse and set them up for success and build confidence. All this from the saddle while learning to speak the language of your horse and deepening the relationship with your horse to a level you might not even have thought possible! Only $125 (Early Bird Pricing) for the Full Day Friday event! Only $397 for the 2-Day Weekend of Horsemanship if you register by March 21st! / $447 after March 21st. Sign up for the ENTIRE 3 DAYS which includes the Holistic Horsemanship Day & the 2-Day Weekend of Horsemanship for only $522 / $597 after March 21st.